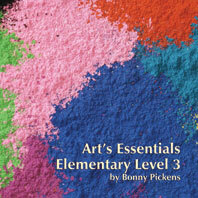 Art’s Essentials Elementary Level 3 is based on the Elements and Principles of Design. 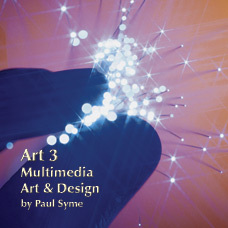 Its focus is on areas of Studio Art, Commercial Art, Computer Graphics, Architecture, and Engineering. It is a multi media broad based curriculum with the goal of being on the exact specific skill level of Level 3. The subject matter is also age level appropriate. 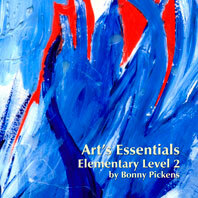 This program will lay down the essential skills necessary to understand and create artworks by teaching basic techniques in a variety of media. It will challenge the students while they are learning but not be so overwhelming that they are frustrated. It is meant to inspire success. Each lesson addresses special needs kids as well as the gifted and talented, giving suggestions to meet their needs. The lessons are time tested, scope and sequence oriented, with one lesson building on the next. By the time they reach Level 3 they should have had a good foundation of art to draw from. They will take previous knowledge and expand upon it, being given more freedom to express themselves creatively. 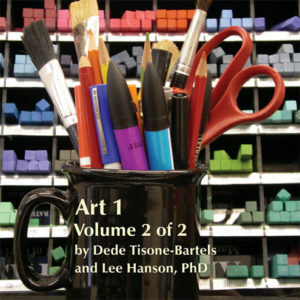 While previous years focused mainly on how to use the supplies and how they work together, Art’s Essentials Level 3 will take that knowledge and allow students to become more creative with it. 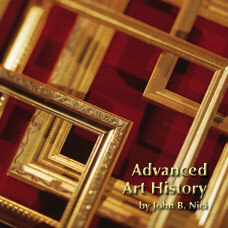 Each lesson is tied to a time period in art, focusing on just the most important artists of that school of thought. It does not ask students to copy famous artists, but rather teaches understanding of their importance and uses them for inspiration while encouraging students to develop their own particular style. The lessons go over history of the media and techniques, use today, and future possibilities. The arts program is also cross curriculum, showing how what we are doing in art relates to what they are learning in the classroom. It never hurts for the administration to see that what you teach is tied to TAKS or any other testing your state requires. I have found that introducing math, science, history and other areas in art makes it more interesting and easier to learn when the students are introduced to the same material in the regular classroom. What they learn here will make them well prepared for future art courses and allow them to speak with intelligence and understanding about art in general. Above all, as should be the goal of any curriculum, it is meant to develop well rounded, well educated, cultural citizens who can make a positive contribution to society. They will learn that art is like a puzzle, once you know how to put the pieces together then it is easy. It teaches them to think constructively. It is the gateway to creative thought. 356/ISBN: 978-1-59657-869-2, 356/ISBN: 978-1-59657-374-1, Class Set CD/ISBN: 978-1-59657-870-8, 114/ISBN: 978-1-59657-448-9, 114/ISBN: 978-1-59657-375-8, No page count.No ISBN number. Use product code.